There's a lot of info on the web. You're never going to read it all, but you want to, so your browser has fistfuls of open tabs waiting for that rainy day when you'll want to read a two-month-old article that's no longer relevant to anything. But have you ever wondered what all those tabs are doing to your battery life? 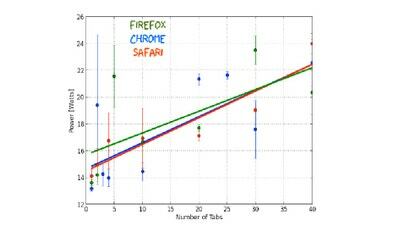 Wired's Rhett Allain did, so he measured it for Firefox, Chrome and Safari.